From chic boutique hotels to historic landmark getaways, couples planning a trip to San Francisco have plenty of choice. Hotels that made our top 20 list provide the perfect base for exploring San Francisco's attractions, shops, nightlife and restaurants. 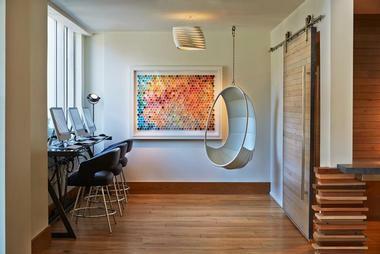 Couples who love modern design can check into a hotel with common areas that showcase unique furnishings and art. Those who prefer grand hotels with gilded ceilings and crystal chandeliers will find several great options on our list as well. The Westin St. Francis has played an important role in the San Francisco society since it opened its doors in 1904. People have been meeting "under the clock" since a great Magneta clock was first installed in the spacious St. Francis hotel lobby in 1907. The hotel enjoys a prominent location overlooking Union Square, just minutes from Chinatown, Fisherman's Wharf and San Francisco's financial district. For a unique Napa Valley-style wine tasting experience, head to The Chateau Montelena Tasting Room at The Westin St. Francis. Although the original hotel has been expanded and restored, the original old-world opulence has been preserved through the use of marble, oak, crystal chandeliers, gilded ceilings and murals. The spa and health club offers a range of spa treatments such as massages, facials, manicures and pedicures. The hotel has several bars and banquet rooms which can be rented for special events. Bourbon Steak serves award-winning cuisine by chef and restaurateur Michael Mina. The Oak Room offers an American-style lunch and dinner menu as well as a la carte breakfast. Clock Bar is a popular bar and lounge. Caruso's Coffee Bar, located in the Tower lobby, serves homemade pastries, wines by the glass, salads and sandwiches. Room rates start from $199 per night (415-397-7000). 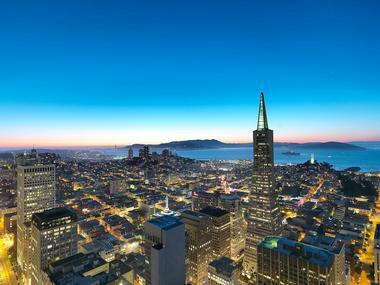 The Loews Regency San Francisco is located in the heart of San Francisco. The hotel's central location makes it a great starting point for exploring the city. Nearby attractions include the Stock Exchange, shopping, theaters and galleries. The hotel offers conference facilities and modern amenities for the business traveler. Get a massage and relax after a stressful day at work or exercise at the hotel's fitness center. There are 154 guest rooms and 4 suites. The rooms are located on high floors, from the 38th to the 48th floor, featuring spectacular views of San Francisco and the Bay. Enjoy the luxurious bathrooms with separate bathtub and showers and a choice of cotton or terry-cloth robes. Brasserie S&P, open for breakfast, lunch and dinner, serves innovative dishes that utilize locally grown ingredients. Doubles from start at $399 per night (415-276-9888). W San Francisco is a sleek, modern art deco-style hotel in San Francisco’s SoMa (South of Market) neighborhood, within walking distance from the Yerba Buena Center for the Arts and less than a mile from San Francisco Bay. The modern rooms are comfortable and beautifully decorated with splashes of bright colors, and all have flat-screen TVs, free Wi-Fi, luxury linens, designer bath products, and minibars. Upgraded rooms also have sitting areas and views of the city. Suites have living rooms and kitchenettes. The hotel offers its guests the use of a full-service spa, a gym with a glass ceiling, a hip upstairs lounge with plush sofas, and a nightclub-style bar appropriately called The Living Room. The hotel restaurant Trace serves Californian cuisine with seasonal and organic ingredients. 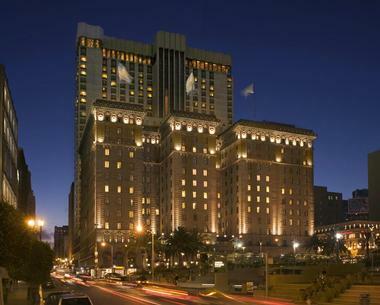 The St. Regis San Francisco is a luxury hotel in the SOMA area, adjoining the Museum of Modern Art. Whether you are traveling on business or pleasure, this is an amazing place to stay, offering five star service and amenities. Travelers have access to the 9,000-square foot Remede Spa, complete with a designer pool and private treatment rooms. This is one of the best luxury spas in the city. Men and women enjoy separate relaxing whirlpools, steam rooms and saunas for detoxing your body. Arrive early for your massage so that you can enjoy these beautiful facilities. In the spa lounge, you can sip champagne and have a delicious snack. The therapist will customize each treatment to your needs and wishes. 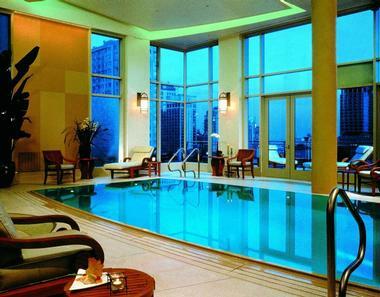 After the treatment, stay a while, take a dip in the indoor infinity pool and enjoy spectacular views of San Francisco. Guests are accommodated in luxurious rooms and suites with views of downtown. There are four types of rooms and four different specialty suites you can choose from. Superior Guest rooms are located on lower floors. Business travelers will enjoy the oversized work area with large writing desk and a comfortable chair. Other room types include Deluxe Grand Rooms on higher floors, Grand Deluxe Rooms (ask for a view of the Bay) and Executive Premier Guest Rooms. If you need more space, Astor Suites are a good choice, featuring amazing floor-to-ceiling windows that frame the city skyline. 711-square-foot layouts combined with beautiful decor make these suites a great choice for couples and families. Metropolitan Suites, two St. Regis Suites and the Presidential Suite offer travelers unique layouts and beautiful design. If you need help with packing and unpacking, take advantage of the St. Regis Butler Service. The Signature Bath Menu lets you choose from four custom bath experiences, including a champagne and chocolate or the rose petals. Ame Restaurant in the historic Williams Building section of the hotel lobby serves seasonal New American cuisine with an emphasis on seafood and a diverse selection of wines. Vitrine Restaurant is located on Level Four and serves breakfast and lunch daily. Rooms start at $425 per night (415-284-4000). 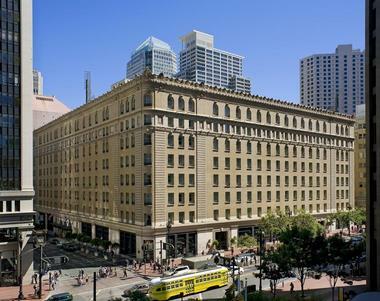 The renovated Westin San Francisco Market Street is located at the Yerba Buena area in the heart of downtown. Its prime location offers guests easy access to most of the city's top places of interest. 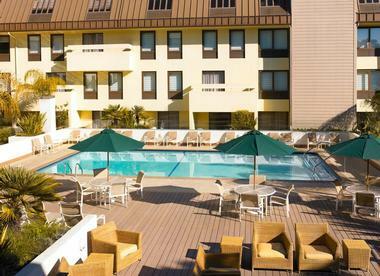 >The hotel is located two blocks from Union Square in the Yerba Buena Gardens art district. 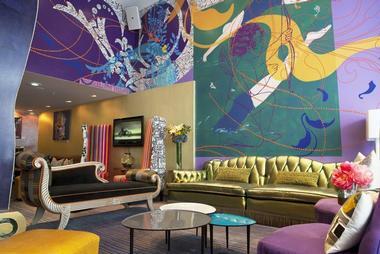 The hotel caters to business travelers and vacationers alike, featuring a unique design and an interesting art collection, including images and sculpture by David Hockney, Roy Lichtenstein and Isamu Noguchi. If you like to shop, nearby shops include Giorgio Armani, Gucci, Tiffany & Co., Chanel, Neiman Marcus, and Saks Fifth Avenue. The Yerba Buena Gardens feature restaurants, museums, public art and formal gardens. The festival takes place May through October with outdoor performances and concerts. Family vacationers can take advantage of the hotel's Kid's Concierge and a kids program. The Four Diamond hotel has a total of 676 rooms on 36 floors. Each elegantly furnished room features wide floor-to-ceiling windows with panoramic views. Twenty corner building units are spacious executive suites, ideal for families who need more space on their city getaway. Other specialty suites are two Diplomat suites and two Presidential suites. MaSo offers a creative menu of fresh comfort foods sourced locally or sustainably. The Murano Room at MaSo can be rented for private events. The outdoor patio area can accommodate a cocktail party of up to 300 guests. The Chef's Table is a semi-exclusive dining spot for six and attended personally by the chef. Jester's Cafe serves American cuisine for breakfast, lunch and dinner. There is a sophisticated martini lounge with plush couches, a fireplace, and original art. The martini menu includes Mandarin Cosmo, Spicytini, Peaches 'n Cream-tini, Key Lime-tini, and Chocolatini. Well-trained experts from the Massage Professionals Association provide therapeutic massage services. The hotel has a fitness center where you can enjoy the signature WestinWORKOUT exercise program. Discover the best the city has to offer by visiting iconic attractions and landmarks, such as the Golden Gate Bridge, Transamerica Pyramid, Moscone Convention Center, 49 Geary, Alcatraz Island and Union Square. Choose from a selection of outdoor and indoor event spaces which are equipped with the latest technology. The hotel venues can accommodate elegant weddings of 10 to 1,200 guests. Room rates start at USD $200 per night (415-974-6400). The Ritz-Carlton, San Francisco is a romantic hotel located in Nob Hill near the California Street Cable Card line which provides guests with quick access to the Financial District, Fisherman's Wharf and Union Square. The hotel offers first class service, elegant ambiance and fine dining. The Club Floor has a dedicated Concierge, high-speed Internet access, and five daily complimentary food and beverage services. There is a Fitness Center with indoor pool, steam and sauna where guests can unwind after a day in the city. For golf enthusiasts, the Presidio Golf Course is located about 15 minutes from the hotel. Family travelers can take advantage of the complimentary "Nanny Survival Kit" and the complimentary "POLO" Program which stands for "Protect Our Little Ones." 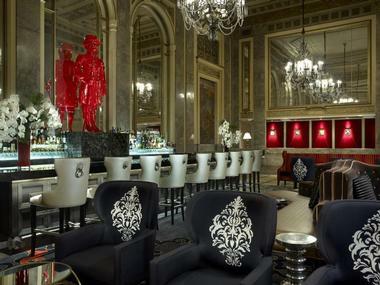 Hotel Monaco, located steps from Union Square, is a luxury boutique hotel furnished in a sensual and eclectic style. If you are looking to get away with your dog or cat, this pet-friendly hotel lets you bring your pet along. Guest rooms and suites feature modern amenities such as pillowtop beds, Frette Robes and Aveda products. If you are traveling on business, hotel rooms come with a fax machine, two-line telephones with computer dataport and voicemail. Grand Cafe is situated in a turn-of-the-century ballroom with original murals, sculpture, decorative art, and faux finishes. The cafe serves contemporary French cuisine with Californian influences. Its sister cafe, Petit Cafe, serves sandwiches and pizzas from a wood-burning oven. If you bring your pet, the property offers amenities such as gourmet dog cookies, temporary dog tags, and walker/sitter services. Packages start from about USD $199, but vary by season and availability (866-622-5284). 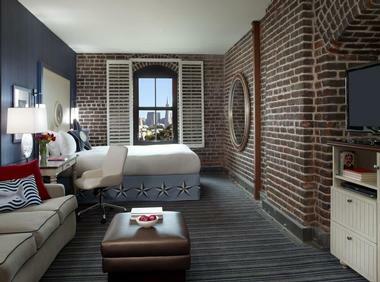 The newly renovated Sheraton Fisherman's Wharf Hotel is in the heart of San Francisco, next to Pier 39 and Ghirardelli Square. 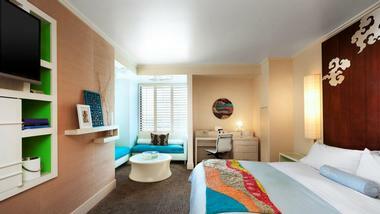 The hotel offers 531 modern guest rooms and suites with the signature Sheraton Sweet Sleeper Bed. For the ultimate luxury getaway, book the Presidential Suite. The hotel has a swimming pool, outdoor fire pits, a restaurant and 9,000 square feet of meeting space. This pet friendly hotel accommodates pets up to 80 lbs. There are several dining options, including Sol Breakfast Cafe decorated with bright colors and plenty of natural light, Spressi Martini & Sushi Bar, and casual outdoor dining at Fire Pits. Rooms start from $149 per night (415-362-5500, 888-627-7024). Hotel Zetta, managed by the Viceroy Hotel Group, offers playful public spaces and a great location on the crossroads of SoMa, Mid-Market and Union Square. Have a drink with friends at the bar which serves a diverse selection of cocktails, beers and wines. The Playroom on the second floor of the hotel offers several fun games such as pool, shuffle board and a Nintendo WiiU console. S & R Lounge has a downstairs bar and an upstairs public area with sofas, televisions, video games, a red phone booth, a pool table, shuffleboard and meeting rooms. Have lunch or dinner at The Cavalier, a 135-seat restaurant which serves British classics like fish, chips and meat pie with a modern twist. The property has 116 guest rooms designed by the award winning Seattle-based hospitality interior design firm Dawson Design Associates, Inc. Guest rooms are furnished with modern furnishings and state-of-the-art amenities. A selection of Junior and Premier Studio Rooms is available to hotel guests. The hotel is housed in a 100-year-old building located at 55 5th Street (415-543-8555). 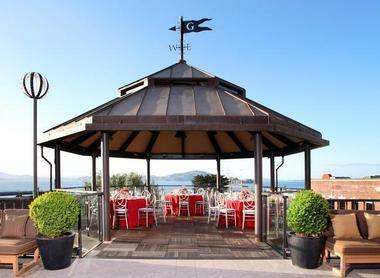 Argonaut Hotel's clever nautical theme goes well with its waterfront location in the heart of Fisherman's Wharf. This is a pet-friendly hotel, so you don't have to leave your pet behind. The 252 guestrooms and 13 suites have views of city landmarks such as the Golden Gate Bridge, the Bay, Alcatraz and Ghirardelli Square. Guestrooms have Sony WEGA flat screen televisions, coffee makers, Aveda bath amenities, and complimentary high speed Internet access. The Blue Mermaid Chowder House & Bar is located adjacent to the hotel and serves casual fare. The hotel is adjacent to the Cannery and within easy walking distance of Aquatic Park, Ghirardelli Square and great nearby restaurants. Rates at the Argonaut Hotel San Francisco atart at $159 (866-415-0704). Fairmont Heritage Place, Ghirardelli Square is a stylish getaway with luxury one to three bedroom residences with open loft-like ceiling, and exposed original red brick. Each residence has a living space with a fireplace and a plasma screen television, as well as a kitchen and dining area designed for family and business gatherings. The property is located in the former Ghirardelli's famous chocolate factory. The historic building exterior, overlooking the San Francisco Bay, has been carefully preserved. One Bedroom Residences measure 850 square feet (79 square meters) in size and can accommodate up to four guests. Choose from City or Bay view. Two Bedroom Residences are designed to accommodated up to 6 guests. There are two bedrooms - choose from 1,200 to 1,400 square foot layouts. Three Bedroom Residences measure 1,800 to 1,900 square feet and accommodate up to eight guests. There is a King bed in each bedroom and a Queen sofabed in the Living Room. The kitchen and dining areas are great for families and groups. Several accommodations have a private terrace. Bosch Washer and Dryer makes it easy to do laundry while traveling which is a big plus for families. Enjoy a 24-hour butler and concierge service, daily wine & cheese reception and twice-daily housekeeping. McCormick and Kuleto's serves delicious Seafood dishes with a scenic view of the Bay. The Pub at Ghirardelli Square offers southern comfort food, while Lori's Diner is a classic 50s-style eatery serving breakfast, lunch and dinner. For dessert, head to Ghirardelli Ice Cream & Chocolate Shop or Kara's Cupcakes. The hotel concierge is ready to assist you with other dining and sightseeing options. Rates start from $337 USD in a one bedroom city view residence. Because the waterfront hotel is such a romantic place to propose, it started offering the "Engagement Package" which includes roses, wine, breakfast, chocolate-covered strawberries and house car service to go shopping or explore the city (415-268-9900). The historic Palace Hotel San Francisco has been the choice accommodation for many notable guests since its opening in 1875. The hotel is centrally located in downtown San Francisco, near The Moscone Convention Center, the theater district and numerous shops along Post Street. All of the 552 guest rooms and luxury suites have recently been restored and updated with modern luxuries. Guest rooms have 14' ceilings and traditional mahogany furnishings. Through the ambiance at the hotel, such as vaulted ceilings and crystal chandeliers, guests get a taste of the 19th century high society. The health club has a sky lit swimming pool where you can swim laps. There is a whirlpool for relaxing after a massage at the spa. Work out at the fitness center and detox in the sauna. The Spa offers massage therapy, body treatments and facials, a great way to relax while you travel. The hotel's four ballrooms are frequently rented for weddings and other special events. There are also 22 meeting rooms and board rooms for business meetings and intimate gatherings in San Francisco. There are four restaurants and lounges, giving travelers plenty of choice. The Garden Court restaurant, famous for its domed ceiling of stained glass, was designated as a historic landmark in 1969. Maxfield's serves innovative California cuisine and Kyo-ya's serves Japanese cuisine. The Pied Piper Bar offers cocktails, appetizers and Live Jazz on Friday nights. Doubles from $560 USD. The hotel is 15 miles from the airport. Transfer options include Airport Shuttle, taxi and limousine. If you would like to reserve a limousine, contact the hotel prior to your arrival (415-512-1111). The historic Huntington Hotel, originally built in 1924 and located in Nob Hill, is one of the best spa getaways in town. The hotel offers luxury, elegance and attentive service, including a full-service spa, complimentary chauffeured sedan service within the city, twice daily maid service and morning paper. The spa features an indoor pool surrounded by floor-to-ceiling windows with spectacular views of the city skyline. The spa is comprised on ten treatment rooms, including three rooms with fireplaces and a room designed for couples. The design of the spa facility reflects Japanese, Chinese, Italian and Victorian influences. Spa treatments include facials, healing body wraps and relaxing massages. The Huntington Hotel guests also have unlimited access to the Nob Hill Spa Wellness Program and a variety of fitness classes on their vacation getaway. There are 100 elegantly decorated guest rooms and 35 suites. All the rooms and suites have views of the city, Huntington Park or Grace Cathedral. The Big 4 Restaurant at the hotel was named after the big four railroad tycoons (Stanford, Hopkins, Crocker and Huntington). The restaurant serves contemporary American cuisine. It is decorated with warm colors, rich leather and a collection of San Francisco and Western memorabilia. The hotel is located in Nob Hill, on one of the city's highest hills. Guests can ride the California Street Cable Car to the Financial District, Union Square and Fisherman's Wharf. A variety of limousine and shuttle services are available from the airport (for an additional fee). Contact the hotel's concierge to make arrangements. Doubles from US $299 (800-227-4683, 415-474-5400). If you are looking for eco-friendly ideas, the Orchard Hotel is a great place to stay. The ten-story boutique hotel has comfortable rooms and modern amenities such as high speed internet, surround sound, and complimentary town car service ensure a comfortable stay. The property is located two blocks from Union Square shopping and right next to the Powell Street cable car line, giving you easy access to city tourist attractions. The hotel is certified by the Green Seal Environmental Standard for U.S. Lodging Properties for waste minimization, water and energy efficiency and other eco-friendly practices. The 105 rooms feature a contemporary design with a soft palette of restful colors. Rooms have Sony televisions, DVD/CD player, surround sound, and DSL high speed internet access. Lunch and dinner are available at Daffodil Restaurant & Bar, a sustainable eatery which utilizes small farm and organic produce in its dishes. Room rates start at around $165 per night (888-717-2881). 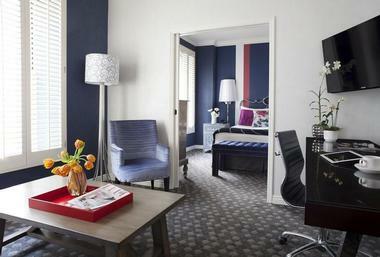 If you are looking for a boutique getaway in Union Square, check into the stylish Hotel Adagio. The hotel features contemporary decor in its 171 guest rooms and suites. Rooms have spacious layouts and large windows with city views. The decor is soothing, with beige, red and green colors. 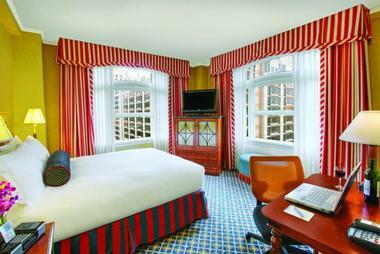 Guest rooms offer scenic views of the city skyline and Union Square. 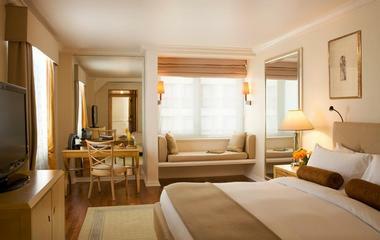 Amenities include luxurious Egyptian cotton linens, work space with ergonomic chair and luxury bath products. Hotel facilities include The Mortimer, a sophisticated and chic craft cocktail lounge, and The Green Room serving delicious breakfast. Guests receive complimentary Starbucks coffee and tea from 6am to 10am daily. The fitness center is open 24 hours a day, letting you stay fit on the road. 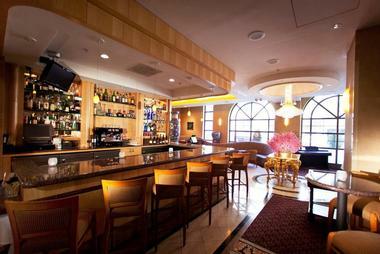 The hotel is located 6 blocks from the Moscone Convention Center, near Chinatown, the Financial District, and SOMA. Guest rooms start at $150 per night. Sir Francis Drake Hotel is a luxury historic hotel located on Union Square, in downtown San Francisco. The hotel is near famous shops, including Tiffany & Co, Gucci, Prada, Giorgio Armani, and Saks Fifth Avenue, which makes it a perfect place to stay if you are planning a shopping and sightseeing trip to the city. Dating back to 1928, the landmark hotel offers attentive service and regal accommodations. 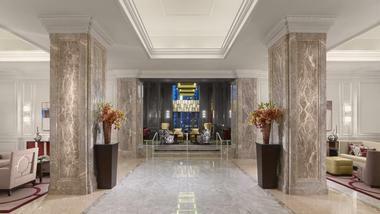 The lobby, lit by classic chandeliers, has gilded ceilings, and a curved marble staircase. 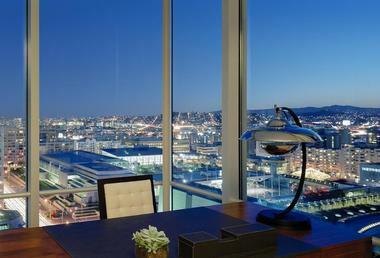 Many of the 417 hotel rooms and luxury suites feature spectacular views of the city and the Bay. The 21st floor is home to the famous Harry Denton's Starlight Room where Harry Denton's Starlight Orchestra plays live music on certain days of the week. The Starlight Room is a 1930's style nightclub with crystal chandeliers and a 180-degree view of the city, a great honeymoon idea. Guests can choose from numerous fine restaurants in the area, or dine at Scala's Bistro located on the main level. The restaurant, which serves Italian and French cuisine, is open for breakfast, lunch and dinner. Catering to business travelers, the hotel has a business center, 16 meeting rooms, on-site audio/visual services and support, fax, copy, delivery services. Room packages start from USD $159 (800-795-7129). 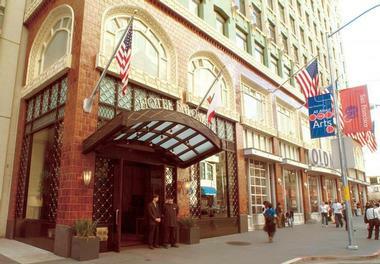 Serrano Hotel is a luxury boutique hotel located near Union Square and the Theater District. The hotel is situated in a restored 17-story Spanish revival building with Moroccan touches. The hotel has 236 designer guestrooms and suites with oversized windows, high ceilings, and cherry wood furnishings. Hotel rooms have DSL high-speed internet access, two-line cordless telephones, and fax machine. Guests can indulge in Aveda bath products and terrycloth bathrobes. Enjoy complimentary morning coffee and tea service, and evening beverage hospitality hour. The hotel has a 24-hour fitness center with a steam room and a massage room. Returning guests can take advantage of the hotel's frequent guest program where one can design their own welcome amenity, get a monogrammed robe, silk Chinese slippers, Serrano fitness wear, and other perks. The hotel has an on-site business center and provides a complimentary limousine to the Financial District Monday through Friday. For family travelers, the hotel provides amenities for babies and toddlers, including cribs, strollers, and pacifiers. There is a game library with more than 50 board games and puzzles the whole family can enjoy. Packages start from USD $179 per day, but vary by season and availability (866-289-6561). 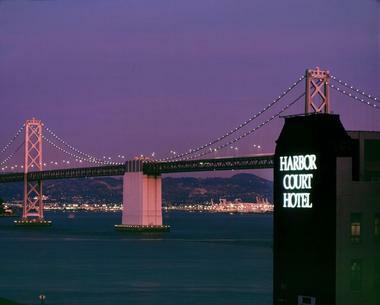 The Harbor Court Hotel offers views of the Bay, the Bay Bridge and Treasure Island. All of the 131 guest rooms feature rich deep colors of gold and purple, complimentary wireless high-speed Internet access, LCD flat panel TV and Aveda bath products. Each room also has a work area with a desk, an ergonomic chair, and data ports. The Ozumo Sushi Bar and Robata Grill serves traditional Japanese cuisine. Room service is available as well as a number of excellent restaurants nearby. The Harbor Court Hotel is located just steps from the Embarcadero and Ferry Building Marketplace, six blocks to SBC Park or Moscone Convention Center, and offers easy access to Union Square or North Beach. Rates at the Harbor Court Hotel start at around $119. Located near Union Square, Hotel Palomar is a boutique hotel which offers modern guestrooms and suites. 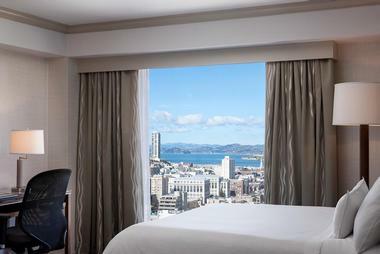 The hotel is near Moscone Convention Center, the Financial District, theater district, Chinatown, the Museum of Modern Art, and other attractions. 198 guestrooms and 16 suites offer high-speed internet access, Aveda Aromatherapy bath products, complimentary morning newspaper, Nintendo, fax/printer/copier machine, and three telephones. The hotel makes available hypo-allergenic pillows, if required. The suites feature formal dining tables, Fuji spa tubs, and windows with circular seating areas. The sophisticated Fifth Floor restaurant at the hotel serves Modern French cuisine with unique presentation. Rates start at USD $179 per night, depending on availability (866-373-4941, 415-348-1111). 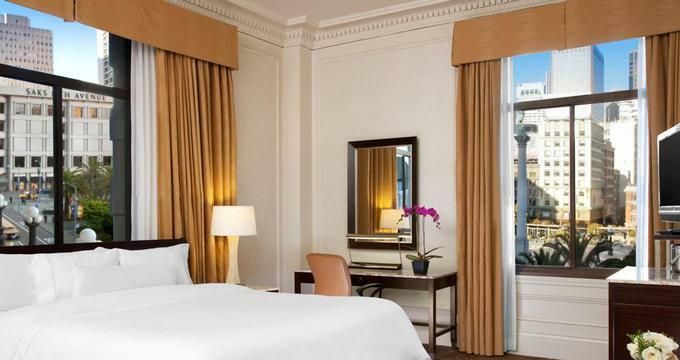 Centrally located on Union Square in San Francisco, Taj Campton Place is an elegant getaway with 110 guestrooms, including nine suites, all of which are fully equipped with state-of-the-art amenities and technology. You will be close to the business district, art galleries, museums and many great shops. Sylvia Chiang-designed interiors evoke serenity amidst the bustling happenings of Union Square and reflect a luxurious residential sanctuary rather than a hotel. The Michelin-starred Campton Place Restaurant showcases a balanced menu sourced locally from organic, free-range and fresh California produce. Depending on your dining preferences, you can be served either in the comfort of your suite or in one of the private rooms in the restaurant. Keep up with your wellness and fitness routine at the 24-hour outdoor fitness center, complete with the latest exercise equipment. The facility sits on the 9th floor terrace and offers panoramic views of the city skyline. Union Square is home to several great spas. The hotel concierge can assist you in booking day spa or in-room spa treatments and services. The property offers several elegant venues for weddings, engagement parties, wedding showers and rehearsals. The hotel can accommodate up to 120 guests for a cocktail reception. The private rooms at the restaurant are perfect for a small celebration. Hotel Triton is a boutique hotel with colorful decor and a great location just two blocks from Union Square, across the street from Chinatown. Guest rooms are decorated with bright yellow and green colors. There is a yoga mat in every room and special amenities for Kimpton Karma Rewards members, including a $10 bar credit and free WiFi. Couples get to choose from several romantic suites, including the Hãagen-Dazs suite, the Kathy Griffin's "D-List Suite", Jerry Garcia's "J. Garcia Suite" and the King Triton Suite. Relax with in-room spa treatments and enjoy the hosted evening wine hour in the hotel's living room. Room rates start at $205 per night.